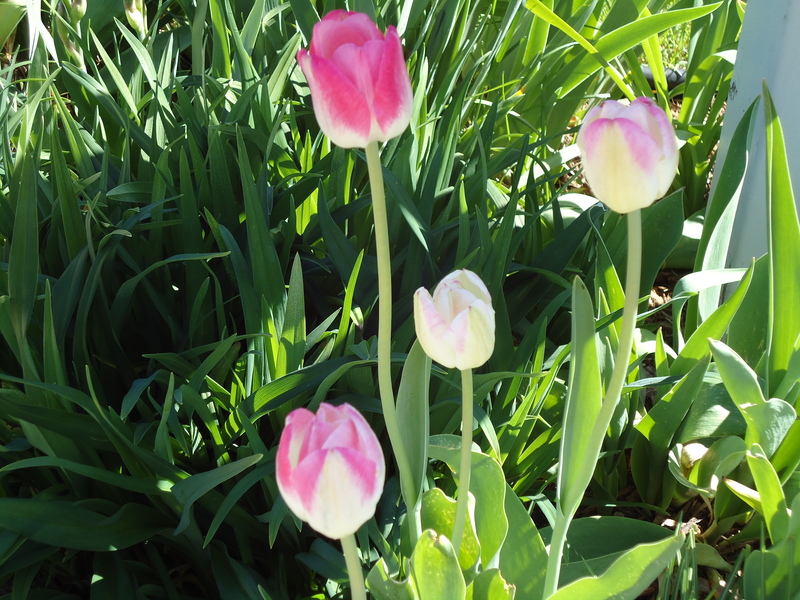 I think pink tulips are so cheerful and charming. 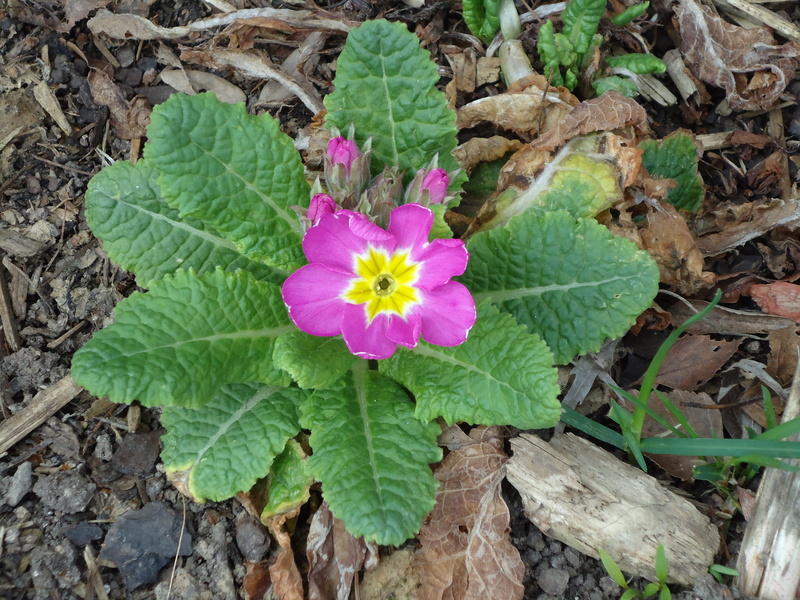 Last year, I planted primroses in hopes that they would bloom early in spring. I was getting worried because I didn’t see any signs of life until a few days ago. Thank goodness! We have a yellow, white and pink variety lining the sidewalk up to our front porch. So happy to see our magnolia shrub coming back to life. It’s a new plant in our yard, and we weren’t sure it was going to thrive. I love this combination of pink and yellow tulips. 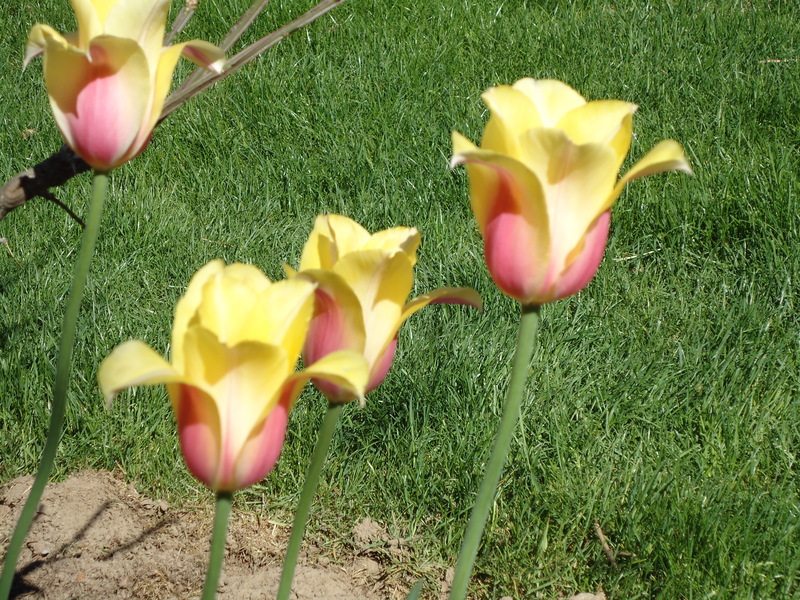 Those yellow tulips have a delicate pink tip that looks like someone went out there with a fine tip marker. 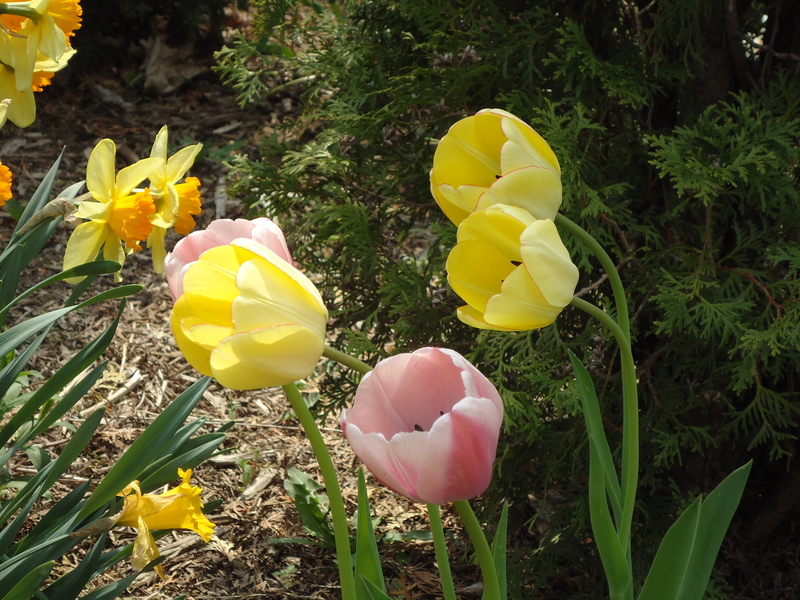 Speaking of yellow and pink, these blushing beauty tulips are my favorites. 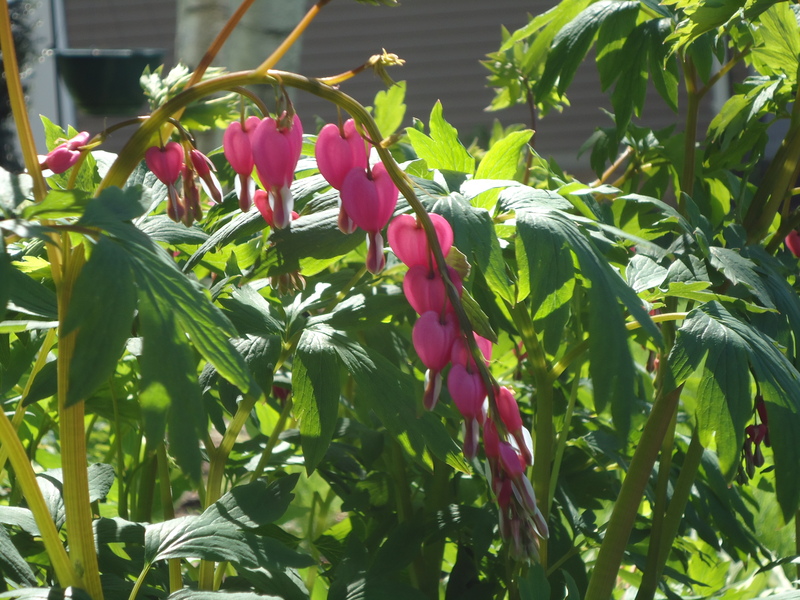 More pink flowers just started to bloom this week, including our bleeding hearts. 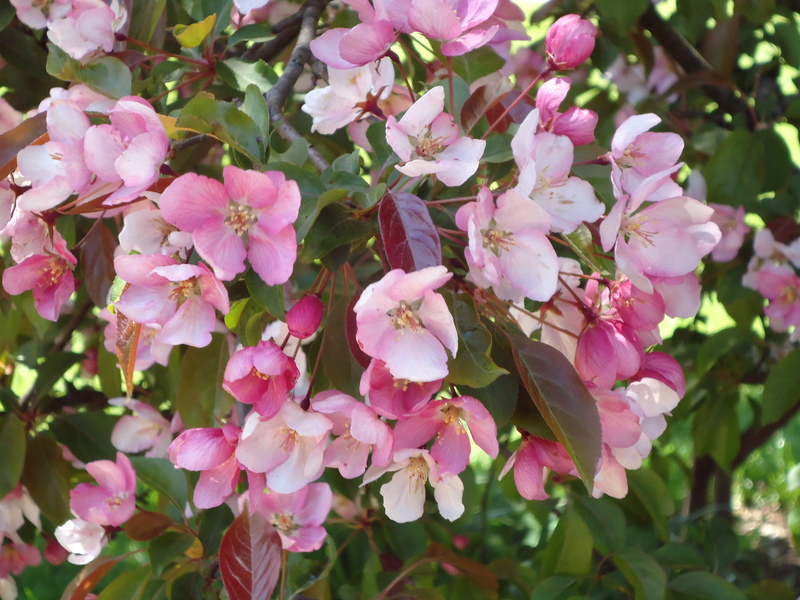 Most magnificent of all, our crab apple tree is blooming. Many reasons why spring is my favorite time of year! These are fabulous. 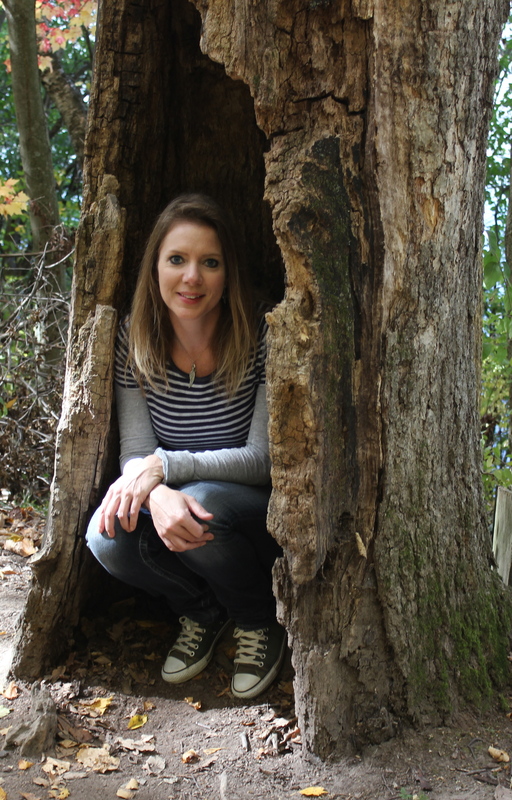 I’m coming to take a live tour of your yard! Oh, just beautiful photos…ahhh, Spring! The blushing beauty tulips are heavenly!! May have to check into some of those when I plant bulbs in the fall here. Your garden is so pretty!! You have some beautiful blossoms! 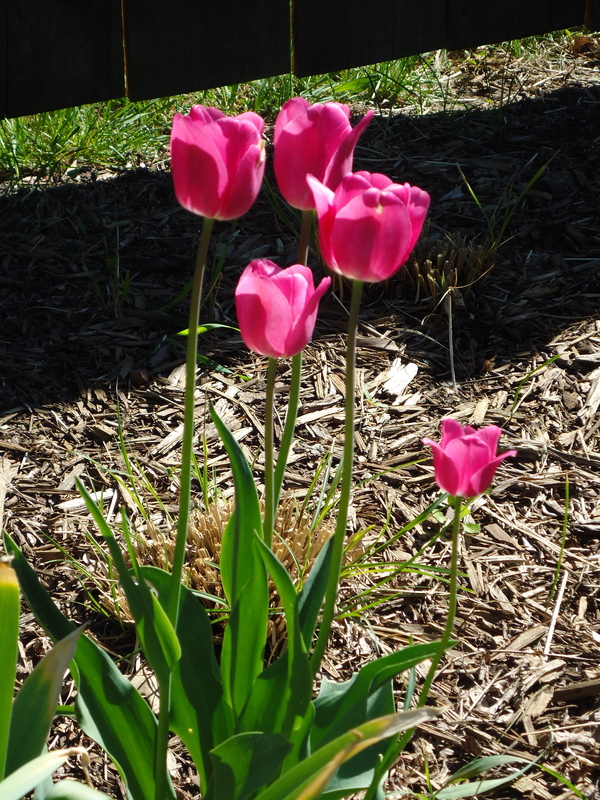 I enlarged the tulip with the pink rim…so pretty! looks like your garden is growing nicely! 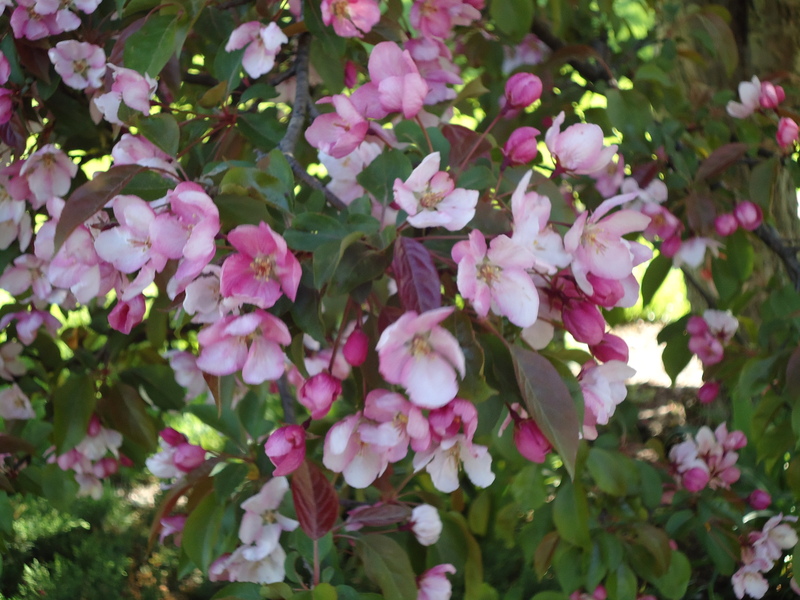 I love pink and I love your pink garden update – the crab apple tree is certainly a treat with it’s beautiful red buds earlier on in the year and then all of these beautiful pink flowers. Thanks for sharing your spring flowers, beautiful! Oh who doesn’t love pink. 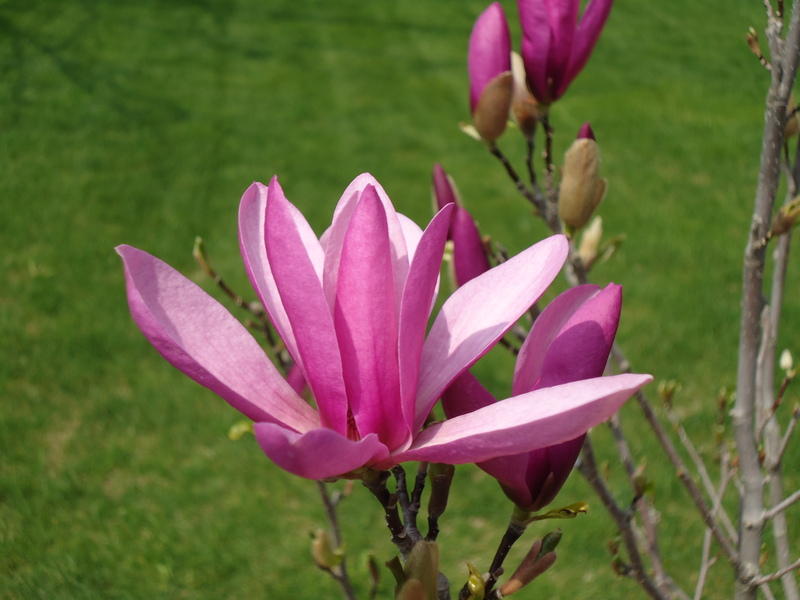 The magnolia is stunning. Isn’t it amazing how things just pop us and delight us. Beautiful – I have a weakness for tulips – yours look amazing.